July's BitF Fan Art Contest sure gave us plenty to think about regarding our favorite games! The theme was "Brawl in the Family meets Reality," and between disturbingly realistic images of BitF characters and unfortunate difficulties that arise when physics are involved, it wasn't a great month to be a Brawler. However, as usual, it was a great month for art lovers, as the following entries will capture anyone's heart. Enjoy the gallery! Long-time BitFFAC veteran Clandy returns with yet another classy submission. 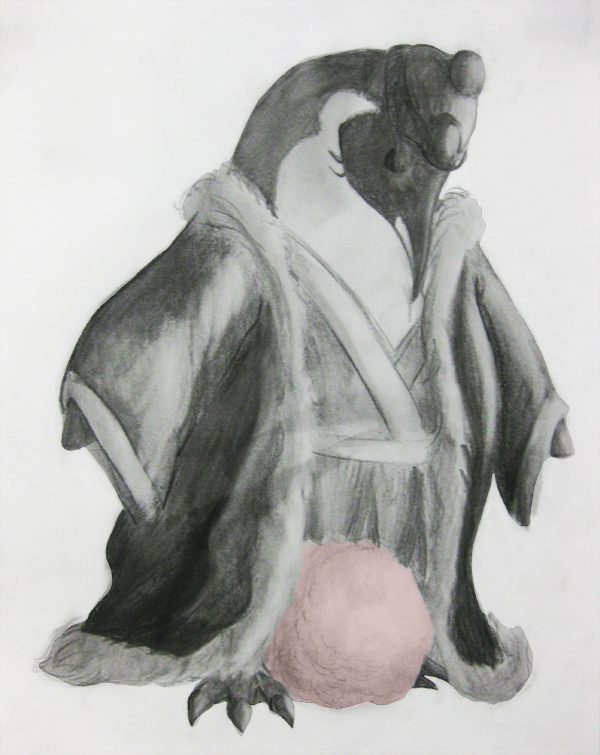 For this month, we've got a cute image of Dedede portrayed as a realistic emperor penguin, complete with a puffy little Kirby egg on his feet! The fun idea mixed with the inherent cuteness of this image makes it irresistible! Cyphir may seem like a new member of the boards, but he's actually participated in the Art Contests before, under the name P.A.S.--he simply e-mailed the images before. At any rate, welcome to the boards, Cyphir, and we hope to see more submissions from you! 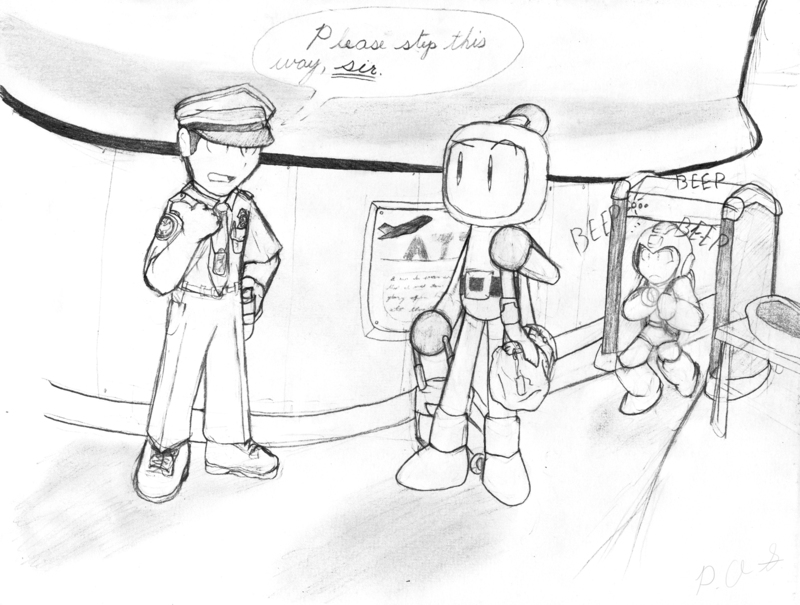 Here, Bomberman struggles with national airline laws, which wouldn't let the poor guy anywhere near a plane! And Mega Man is having similar trouble toting his Mega Buster and who knows what else past the detector. Like Cyphir's past entries, this image delivers the goods, with slick linework and a great illustrative style inspired by Mega Man's art! Yikes! 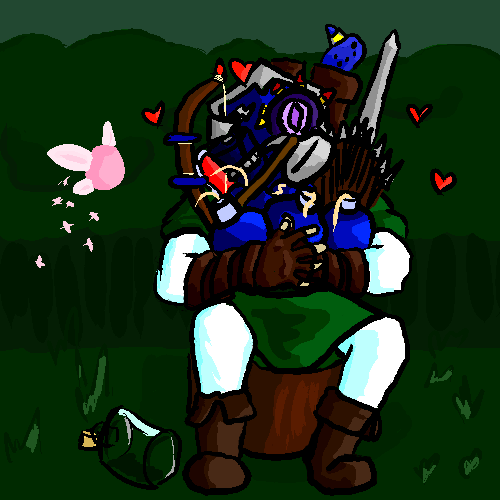 Toting all that stuff around won't make the fight against Ganondorf any easier. Gray Fox's submission is a simple idea executed quite well, with a nice use of color and plenty of detail in the supplies Link is holding. I'm also a fan of the ocarina stuffed in the boot. 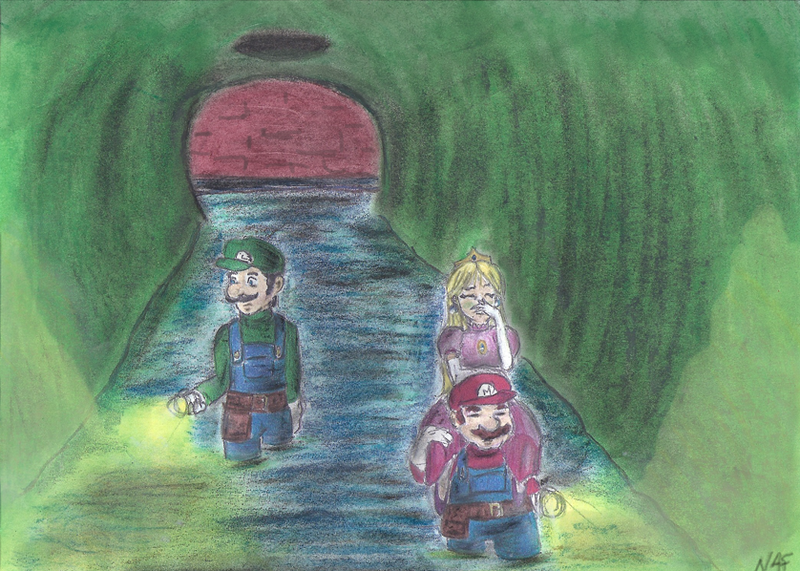 Miss_anthy returns with this dank submission detailing the less-glamorous aspects of being a hero plumber! We really enjoyed the muted palette, unique coloring style, and general feel of the work, including the slick light beams from the bros' flashlights. 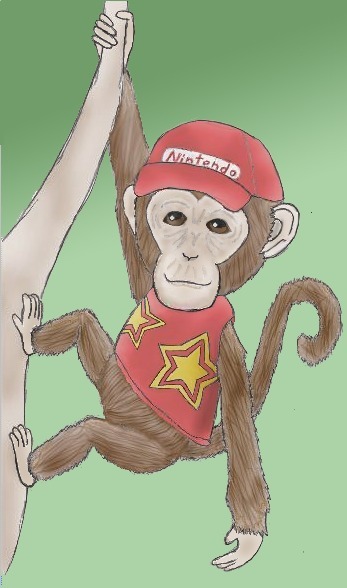 Shyguygirl is a newer user but hopefully doesn't remain too shy to enter another contest, as this classy image of a detailed Diddy turned out great! 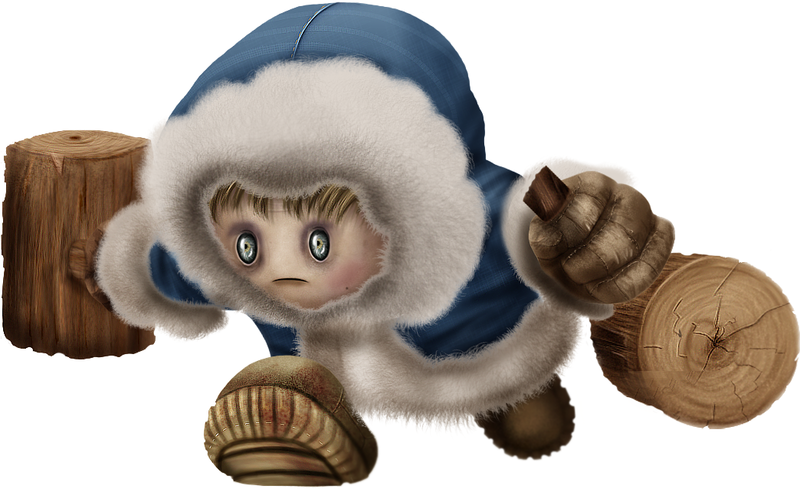 It's a more realistic take on the character, of course, but he still remains as cute and curious as ever. There were a few different versions of this image, but we liked the color version slightly more. Hope to see more from you, Shyguygirl! The term "realistic remake" is tossed around a lot these days, especially near Hollywood. 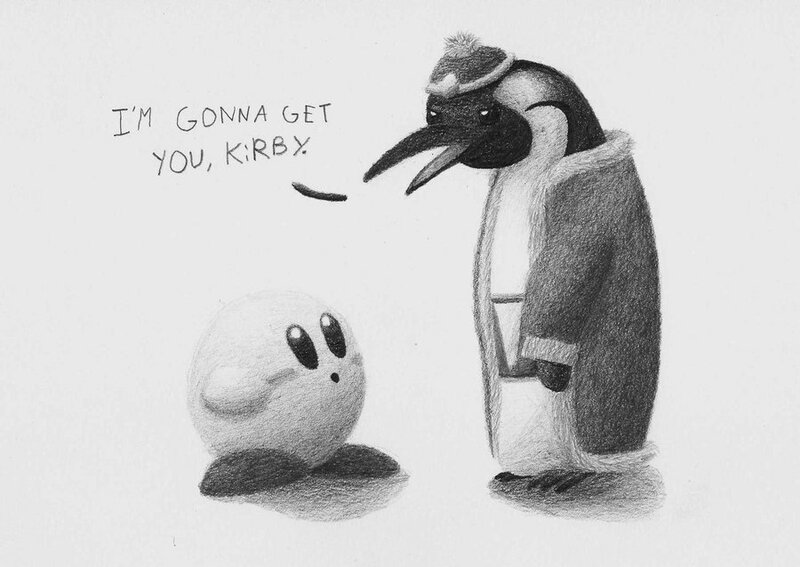 But I must say, I'm quite honored to witness a realistic remake of the very first panel of Brawl in the Family! The volumetric shading is easy on the eyes, and the expressions are quite cute and fun. Spazboy actually submitted three rather nice pieces for this contest, but in the interest of keeping space open for as many artists as possible, we picked our favorite of his submissions: EXTREME MARIO RPG. 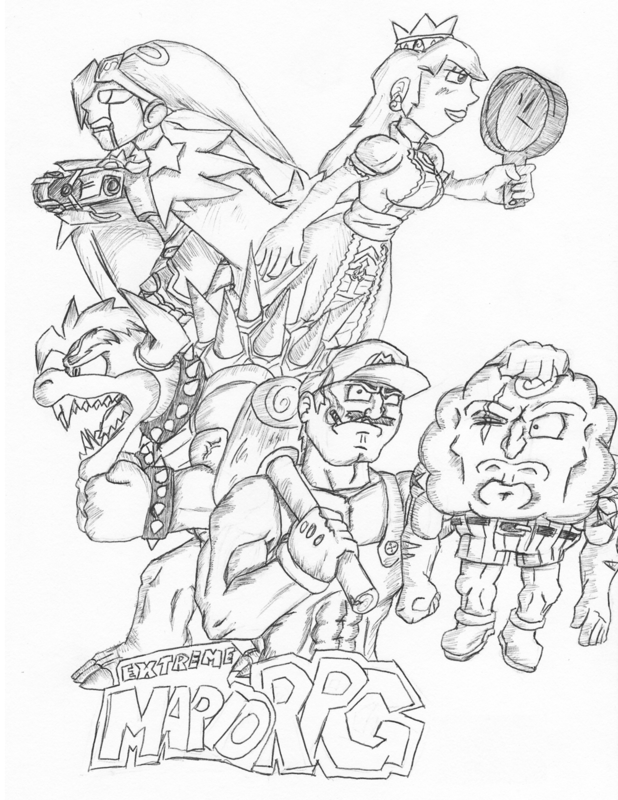 CHECK OUT GENO'S CANNON, MARIO'S SMOKES, AND MALLOW'S KILLER SCAR! This entry is almost as over-the-top manly as Snake's chiseled buttocks, and that's saying something. 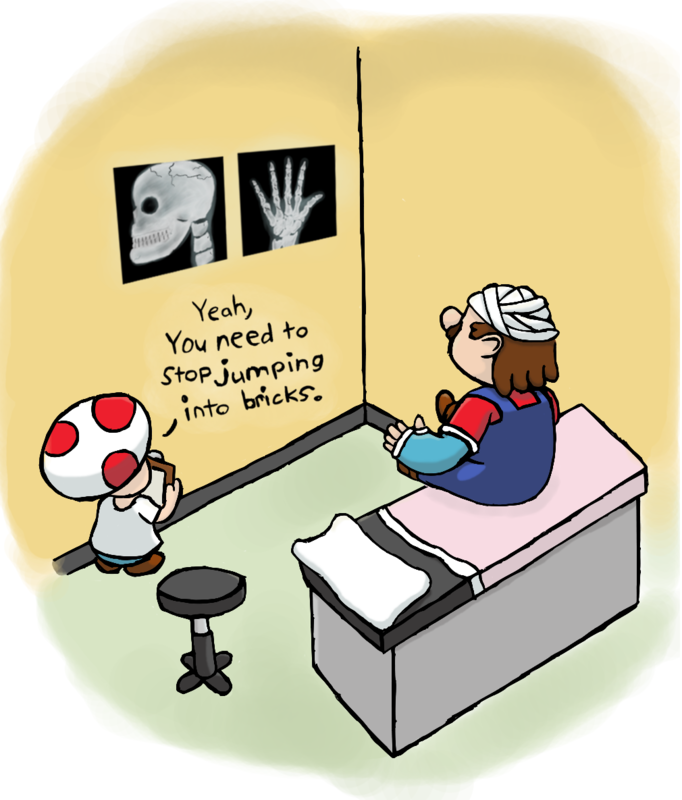 As always, Spazboy manages to provide an amusing, well-drawn piece! Repeat nominee T-3000 also entered a number of cool pieces, but we preferred this one, which felt very much like a BitF strip itself. It's a simple and fun idea of Mario struggling with the laws of physics, and the presentation of the last panel (with Mario covering his shame with his hat) really helps sell it. Nice work, T-3000! 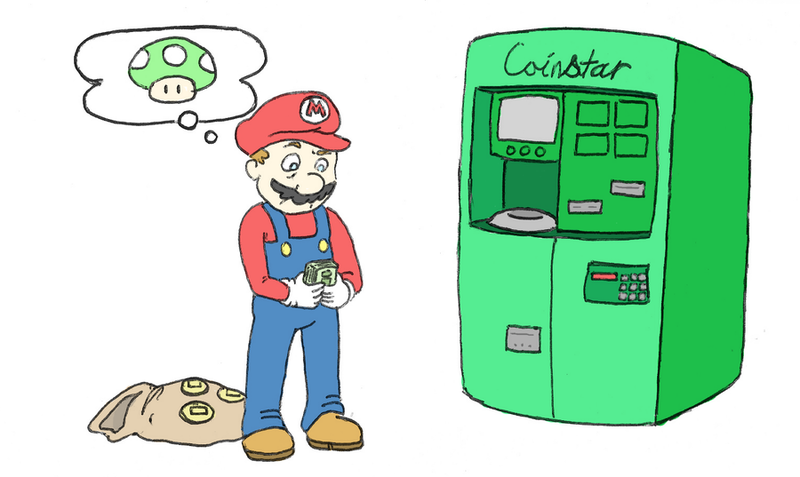 Poor Mario--he expected an extra life from cashing in his coins, and got nothing but a bunch of useless paper! This is another great submission from TheBovine, and contains the artist's signature style, which is always easy on the eyes. The slightly muted palette is nice too. Sheesh! Now this is what I call disturbingly realistic. This nightmare-inducing, way-too-detailed Popo storms into our collective unconscious thanks to Trebor Almasy, who's done a similarly textured Eario a few months ago. Like then, though, he requested that he not be entered into the contest. We'll respect that request by not considering the entry for the winner, but we'd also like to showcase it as a nominee because of its quality! Thanks for the insomnia, buddy! Mario's definitely had a rough month thanks to this contest. Vaporchu takes a nice idea and presents it from an interesting perspective and polishes it all up rather nicely. I could easily see something like this being a single-panel comic akin to The Far Side. There's definitely an understated charm to this work that made it grow on us more and more. The coloring is handled nicely and really helps sell the dank atmosphere, and the character's poses and expressions all work quite well too. I can see this being a panel out of a comic book about the Bros having a rough trip home. Nice work on a compelling picture, miss_anthy! That wraps it up for July! Thanks to all the artists who entered and made the judging as tough as ever! And make sure to swing by the thread for the popular cartoon crossover August Contest, which is already getting some seriously good entries. See you there! Oh wow, vaporchu's... I nearly laughed out loud XD good job, everyone! Kid Icarus players, join us every Saturday at 7:00 PM central for Light v Dark! "...we had about five or six entries we were considering at once, and it was not easy to narrow it down! But there can only be one..."
Good job miss_anthy. Her entry was really great. Everyone else put out good entries as well. Guess I'll be back to brain storming for the next contest now. I made an appearance? Nice, I feel better! Anyway, I think the Winner is the most deserving, so Congratulations to you, miss_anthy!!! All of the runner-ups fully deserved it. Great job, guys! You hear that? That is the sound of how invalid your arguement is. Either chillin' in Costa Rica or dead... probably both! Don't be afraid to give me any comments, feedback, or chocolate milkshakes... Mmm... yes. Say? Do YOU like hilarious videos? Of course you do. Why don't you just go ahead and click on this link: http://dashingfrog.tumblr.com See what I did there? Dashing Frog --> dfrog + my name is Matt= dfrogmatt! Weird, I thought I would make nomination last month and not this month, but it switched on me. Pretending that he's going to be more active this time round. On your ceiling. Invisibly, duh. Actually, I read it in the voice of the evil guy from Highlander but, there you go. And congratulations to everyone who made it into that post ^^. Please, call me Quarg. And that's Pengo, btw. Check out my deviantART account! And my art thread too! You want? I make. My request journal. Proud moderator of the ONM Forums. Newer here, not so new there. Head on over for good times. Excellent :-). Thank you very much for the kind words, and congratulations to every one else recognized this month! I'll observe more than I'll post. Great work everyone! Miss_Anthy, I have to say that I love Mario's expression in your pic. =) Great work! God is good. He is the only reason I can do anything... so credit goes to Him first and foremost for all my drawings and posts. Also, congrats to miss_anthy for her awesome picture! I can't think of a description. Great job everyone. This is my first time entering, so it's kind of cool seeing my friends/fellow users actually winning stuff! GOOD JOB, CHILLINS. Hey, a Runner-Up position! I wasn't sure if it was worthy of that, so that was a nice surprise. Next time, I'll be sure to color it all, as per August 2010. Oh, and a much-necessary hearty congratulations to everyone who made it in, and a special congratulations to miss_anthy! Very nice work on your picture; the proportions are good, and I especially like how well the character's expressions came out. Certainly a fine choice for winner. Vaporchu's was also very well-done, and it was nice to see Shyguygirl's make it in. Good job, everyone! Many thanks for putting on the contest, Matthew. It's always fun to see them, and even more to participate. I appreciate it, to be certain. It's certainly always a treat seeing what people come up with each month! Thank you guys for the participation. Twilight. Well, not really. Just looks a whole lot like it. Sorry if this has been said before, but this or the Help Desk seem the best places to ask, and I didn't see this being mentioned in the other place. Yeah, Chris has actually been in the process of moving himself, all his stuff, and the merchandise to Oregon, so he's had his hands full in the past couple weeks. Sorry about the delay, but the winners will be up soon!